Josh Giliberto is one of our Board of Directors. 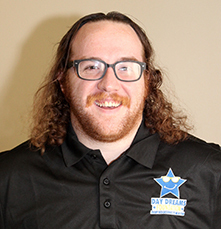 He currently serves on the Fundraising Committee and works on planning our main events like our annual a Night Under the Stars Gala and Trivia Night. He hails originally from Cicero, Illinois and moved to Columbia to study education at Columbia College. He is currently a math teacher at Father Tolton High School and their assistant soccer coach. While he didn’t think he would be teaching math (he has an English degree), he is thankful for the opportunity to live out his childhood dream of teaching the youth of america.